Its been a while since we did any Vlogging so we made a New Years resolution to get back in the swing and share our videography world in monthly episodes. Why did you choose Bartle Hall for your wedding? We loved Bartle Hall from the first time we went to view it. We loved the two rooms and the idea that we could have our ceremony and wedding breakfast / evening reception in different parts of the hotel. We loved the Balmoral for the evening as everything is all in one place so everybody can be together. Aw, he proposed on my birthday in Iceland (the country, not the shop 😂) just as it had turned midnight… we were absolutely freezing cold after being stood outside for 3 hours waiting for the northern lights to appear but not even a twinkle! Haha. If you had to pick a favourite moment, what would it be? It’s so hard to choose a favourite moment, I loved the ceremony and the speeches! Why did you pick RTP to film your special day? I knew we were having you before we were even engaged, I saw a friends video (Nikki and Darren Parkinson) and from that moment I said if I ever got married, I had to have you and you were the first thing we booked after the venue! Why did you choose Mitton hall for your wedding? We chose Mitton for a few reasons; firstly it is beautiful, we know a lot of the staff and trusted them to make it perfect but our biggest reason was the sentimental value. Lewis’s mum worked there as GM when it was an Italian named ‘the stone house’ and after Lewis burnt down the family home at the age of 3 they actually lived there for a while. So there was no other choice in our mind. Do you have a favourite moment from the whole day? I loved every moment although the atmosphere in the church with the gospel choir was amazing and I think will be something I will never forget… lots of love in that room! What advice would you give to an Bride & Groom who are planning their wedding? My advice would be to plan early in bite sized pieces so it not all one big stress, take it easy and enjoy the process, don’t care too much about what everyone else wants and 100% get a credit card! We have started a new style of blog for our summer season, you can find the first episode below which features lots of our favorite venues and suppliers. June was a mad month for us and July is going to be even more packed, this is the busiest month of any year we have ever had. Eaves Hall invited us along to their Botanical Wedding Fayre recently, here is a short highlights video we produced for them. We filmed our last WedCarKaraoke in May and managed to persuade 3 of our former Brides to join us for a sing along and to chat about their weddings. The Bridesmaids set the tone as we started filming at The Great Hall for Mr & Mrs Ashcroft’s BIG DAY, it was so funny to watch them practice their walk down the aisle whilst Make-Up Artist Sonara Parker worked her magic in the kitchen. The Groom arrived with his 2 best men looking very sharp and ready for an awesome day with family and friends. 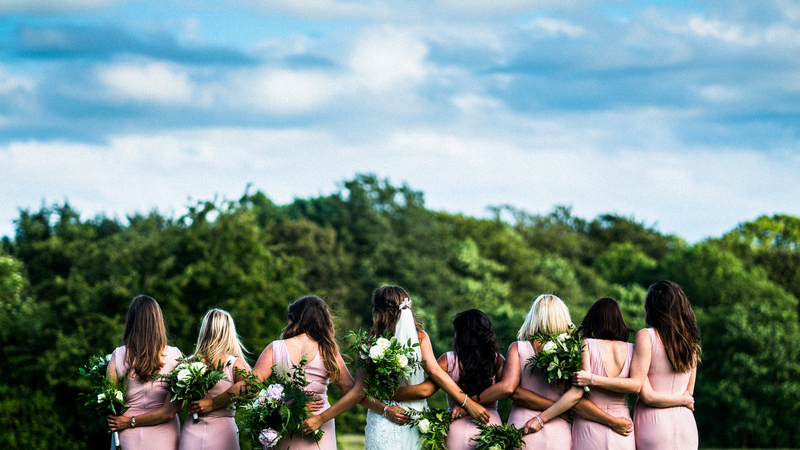 We feel so lucky to be part of so many wonderful days such as Sam & Karl’s wedding, capturing their day and telling the story of how they spent an amazing day with all the people they love is an honor. The first dance just exploded once those confetti cannons fired and as we left the evening reception we knew this was going to open their wedding video. This was an AWESOME WEDDING!!! Singer Stephen Bayliss started the party very early, we had most of the guests singing and dancing through the entire meal which helped me capture some great footage. The Furious Styles took over from Stephen for the evening reception and kept the dance floor filled until the very end. What a great wedding to film, the Bride & Groom did not stop smiling all day, the guests did not stop dancing all day and i loved every second of it! Here is a quick ‘Behind the Scenes’ video from the evening reception. Our latest Wedding Vlog was filmed at this wedding which you can find below.